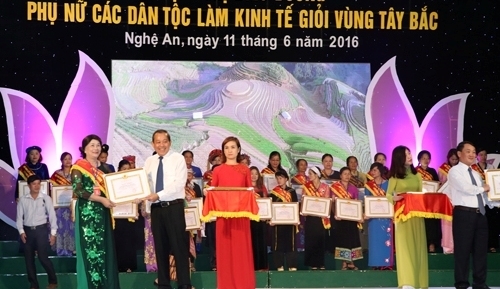 Nearly 200 collectives and individuals representing ethnic women who excel in economic development in the northwestern region were honoured at a conference in the central province of Nghe An on June 11. 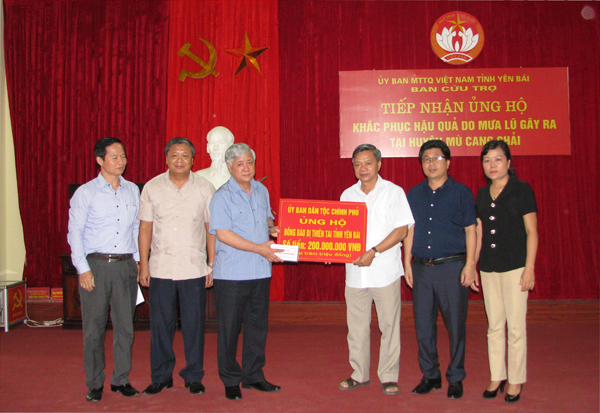 The conference saw the presence of Politburo member and Deputy Prime Minister Truong Hoa Binh; leaders of the Steering Committee for the Northwestern Region and the Vietnam Women’s Union; and representatives from 14 provinces in the northwestern region, northern Quang Ninh and central Ha Tinh province. 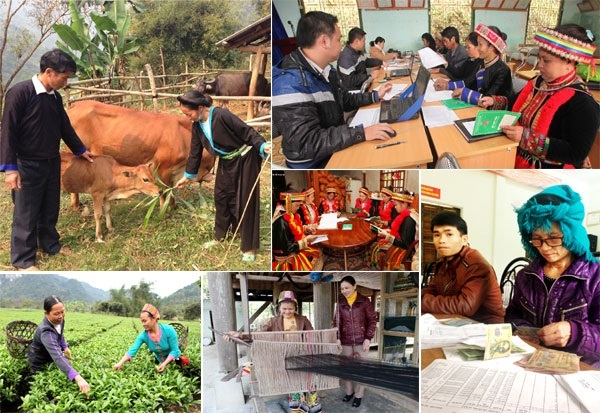 Speaking at the conference, Deputy PM Truong Hoa Binh praised the efforts of ethnic women who have overcome difficulties to make remarkable contributions to the local sustainable development. 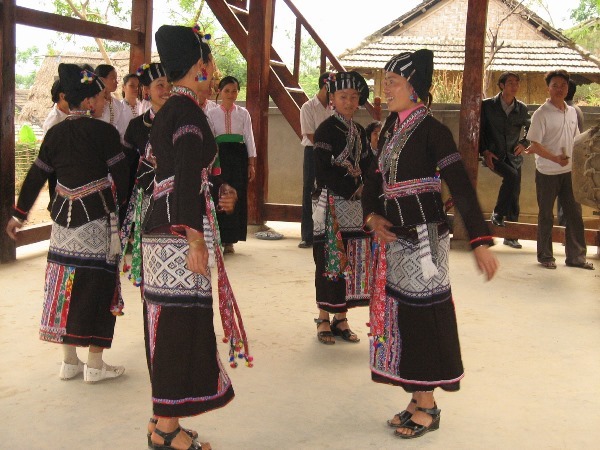 He asked the the Vietnam Women’s Union Central Committee to continue to promote patriotic emulation movements, facilitate and encourage women to promote their strengths in socio-economic activities, while improving the performance and operation of the Union at all levels. The Steering Committee for the Northwestern Region should closely co-ordinate with relevant ministries, sectors, and organisations to propose and adjust specific policies to help ethnic minority women access economic development projects; as well as review policies and give advice to the Government to promulgate more appropriate mechanisms suitable with the regional conditions, he added. The Deputy PM also emphasised the need to seek co-ordination and support from businesses nationwide in selling local products, while focusing on vocational training to develop human resources and promoting regional connectivity for sustainable poverty reduction.